Watch full Ginga Eiyuu Densetsu Season 4 Episode 14 English Subbed full HD online. Ginga Eiyuu Densetsu Episode 100 English Subbed online for free in HD. Long Live the Empress! (Hoffe Kaiserin). Kaiser Reinhard publicly announces his marriage to Hildegard von Mariendorf at the Imperial new years party. Hilda’s father, Count Mariendorf resigns from his position recommending Mittermeyer as the new Chief Minister of Internal Affairs. Many of the ministers discuss joint rulership and succession rights for the upcoming Empress. Princess GrÃ¼newald visits Reinhard and Hilde on Phezzan. 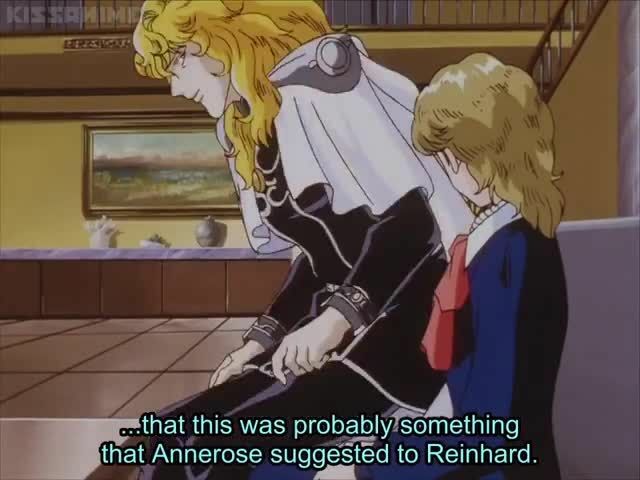 On January 29th, Reinhard and Hilda’s are wed. Oberstein interrupts the wedding midway through to report riots on Heinessen.